Traci Feit Love is a Harvard Law School graduate who practiced law at DLA Piper LLP before spending nearly a decade providing communications, digital marketing, and consulting services to law firms. After the 2016 election, she used social media to bring together and organize more than 125,000 lawyers interested in fighting for Constitutional, civil, and human rights. Traci founded L4GG and left her previous job to build L4GG and the L4GG Foundation on a full-time basis to help ensure that the energy, skills, and knowledge of tens of thousands of volunteer lawyers could be effectively leveraged in the fight for good government. Sabrina Rose-Smith is a partner in Goodwin Procter LLP's Financial Industry practice group in Washington, DC, where she maintains a nationwide litigation practice. She has substantial experience with nonprofit corporate governance, having served as a founding board member for an Atlanta-area school, on the alumnae board for Hollins University, and as a corporate board member for the American Diabetes Association. She currently serves as a Trustee for the Montessori School of Northern Virginia and as a District Activist Leader for the National Multiple Sclerosis Society. She earned her undergraduate degree from Hollins University and her law degree from Vanderbilt University Law School. Jennifer Wong is an attorney with the corporate practice of Kelley Drye & Warren, LLP. She has extensive experience advising clients on a wide range of transactional matters and is active in her law firm's pro bono efforts, assisting not-for-profit startups in realizing 501(c)(3) status and operating efficiently. Jennifer graduated from Williams College and obtained her J.D. from the University of Michigan Law School. She is a member of the New York State Bar and the Illinois State Bar. Larysa Kautz is the Chief of Staff & General Counsel for Melwood, a Maryland nonprofit that annually serves thousands of persons with disabilities in the DC metropolitan area, and has more than 15 years of experience managing the legal affairs of nonprofits. Prior to joining Melwood, Larysa was a partner at Schaner & Lubitz, specializing in providing counsel to multiple national nonprofits including the Cystic Fibrosis Foundation, the American Heart Association and the Michael J. Fox Foundation. Larysa has a JD from Yale and an LLM in taxation from Georgetown. Jonathan Lowy is the Director of the Legal Action Project at the Brady Center to Prevent Gun Violence, where he leads one of the nation’s most successful national public interest litigation teams and has litigated for over 19 years. Jon has litigated in appellate and trial courts in more than 30 states, winning numerous cases that reform dangerous gun industry practices, defend reasonable gun laws, and challenge gun lobby-backed laws that place Americans at risk. He has been named one of the nation’s top 500 leading lawyers by Lawdragon magazine every year since 2012, and was recognized with the Child Health Advocate Award by the American Academy of Pediatrics in 2015. Jonathan graduated from Harvard College and the University of Virginia School of Law. Ted Jacobs is a partner at BakerHostetler, where he serves as national lead counsel for the firm’s E-Discovery, Advocacy & Management team and is the co-chair of the New York office’s Diversity and Inclusion Committee. A graduate of Colgate University, Harvard Divinity School and Georgetown University Law Center, Ted has dedicated much of his professional career to the advancement of LGBT equality. In addition to the representation of HIV-positive and LGBT asylum-seekers fleeing persecution in their home countries, Ted has contributed to the fight for marriage equality. Most recently, Ted co-authored two amicus briefs submitted to the Supreme Court of the United States in G.G. v. Gloucester County School Board on behalf of leading corporations and medical associations in support of dignity for transgendered persons. Ted also serves on the board of Urban Word NYC. Francey Youngberg is the Vice President for External Affairs at Melwood, a Maryland nonprofit that annually serves thousands of persons with disabilities in the DC metropolitan area. She formerly served in the Obama administration as Deputy Assistant Secretary for Public Engagement at the U.S. Department of Housing and Urban Development and was the primary HUD liaison with the White House Office of Public Engagement. Francey is a graduate of Wellesley College and Harvard Law School. 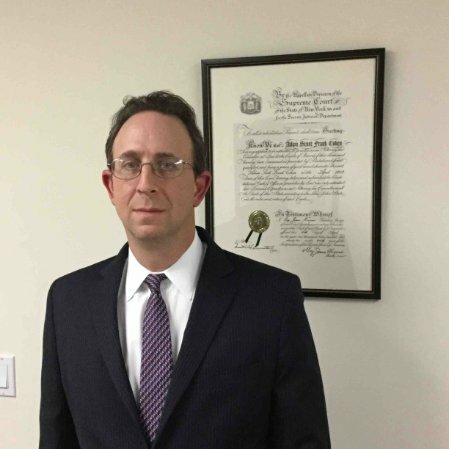 Adam is a founding member and the Managing Partner of the Law Offices of Cohen & Siegel, PLLC, a private law firm with six offices in the greater New York metropolitan area. For more than twenty years he has primarily represented injured workers and disabled persons in Workers' Compensation and Social Security disability benefits cases. Adam is admitted to the New York State Bar and both the Southern and Eastern Districts of New York. He previously served on the Board of Directors for the Mount Vernon Boys and Girls Club.